Transforming Scholarship is a user-friendly work of practical guidance and inspiration for supporting a student's interest in a Women's Studies degree. Berger and Radeloff use empirical evidence to help students with the major barriers they face when exploring Women's Studies: the negative response a student often faces when announcing to the world that he or she is interested in Women’s Studies; and the perceived lack of employment and career options that supposedly comes with graduating with a Women's Studies degree. This book will support students to think critically about what they know, how to demonstrate what they know, and how to prepare for life both personally and professionally after the degree. 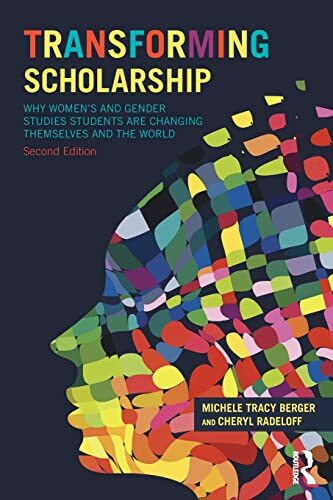 Transforming Scholarship is a practical guide for students interested in women’s and gender studies that targets advanced undergraduates who have a firm connection to the discipline. This book is ideal for women’s and gender capstone courses, and for those who have finished their degree and need a resource to assist in conceptualizing the answers to the question "What’s next?" 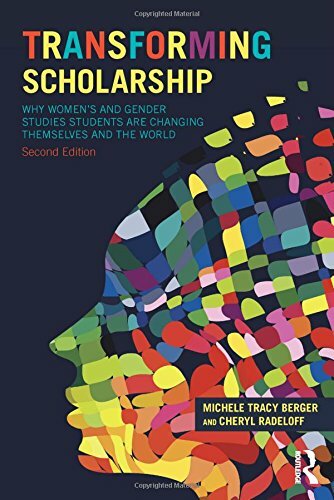 This second edition of Transforming Scholarship focuses on areas that undergraduates might want integrate into their women’s and gender studies education: study abroad, civic engagement projects, internships, independent studies, and honors theses. It includes exercises to help flesh out talents, passions, and skills, and how to link them to employment, information about the diversity of employment opportunities (and further professional training) available, and a plan to help prepare for graduation. It also delves into how to live a feminist life after graduation, including activism after college, building and sustaining feminist communities, and feminist parenting. The authors have also added new "Point of View" boxes throughout the book, where scholars focus on contemporary issues and deepen a student’s understanding of the organizations and individuals fighting to end sexist oppression. Michele Tracy Berger is associate professor in the Department of Women’s and Gender Studies at the University of North Carolina–Chapel Hill. She holds adjunct appointments in the Department of Political Science and the Department of City and Regional Planning. Cheryl Radeloff is a Disease Investigation and Intervention Specialist II with the Southern Nevada Health District. She is also an adjunct professor of Women’s Studies at the College of Southern Nevada.